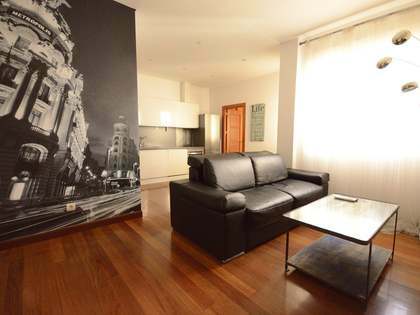 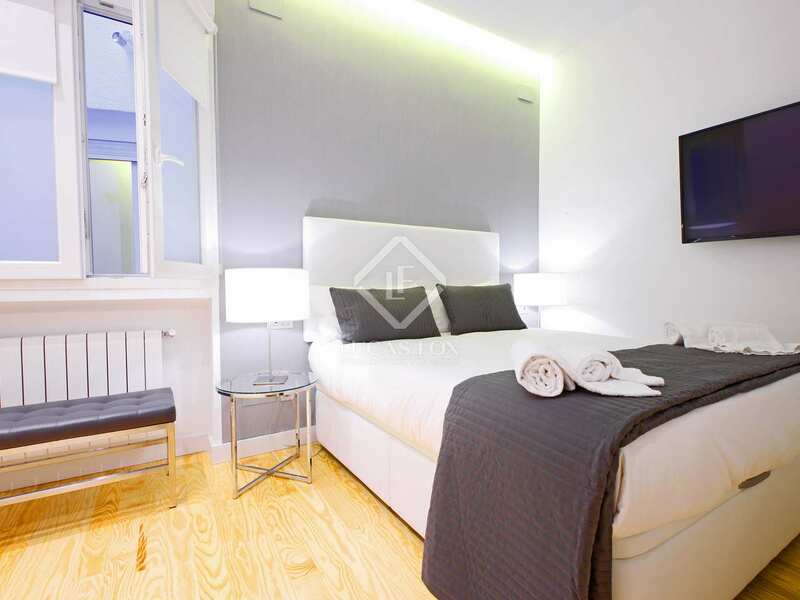 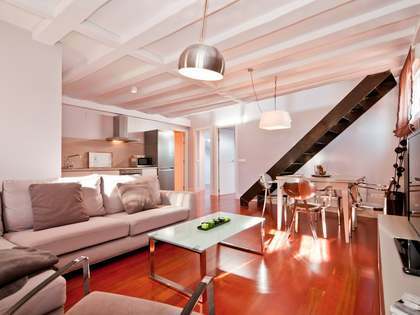 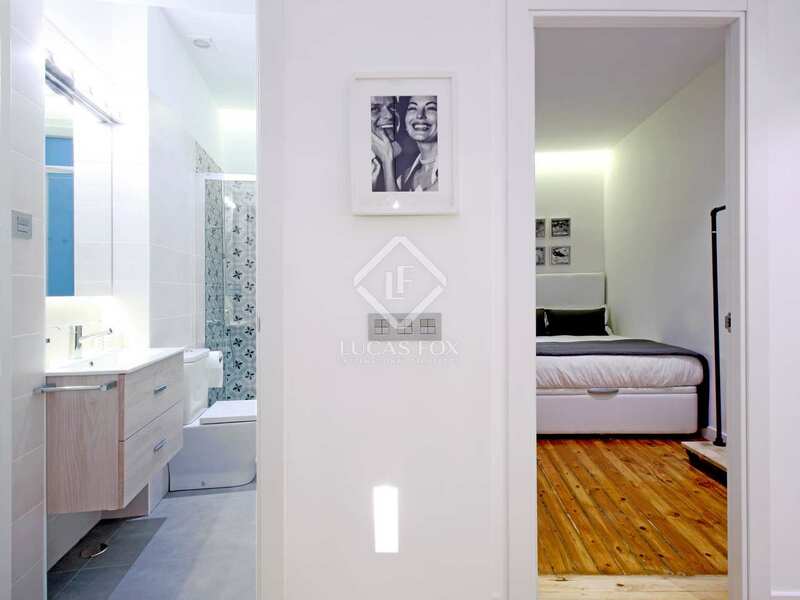 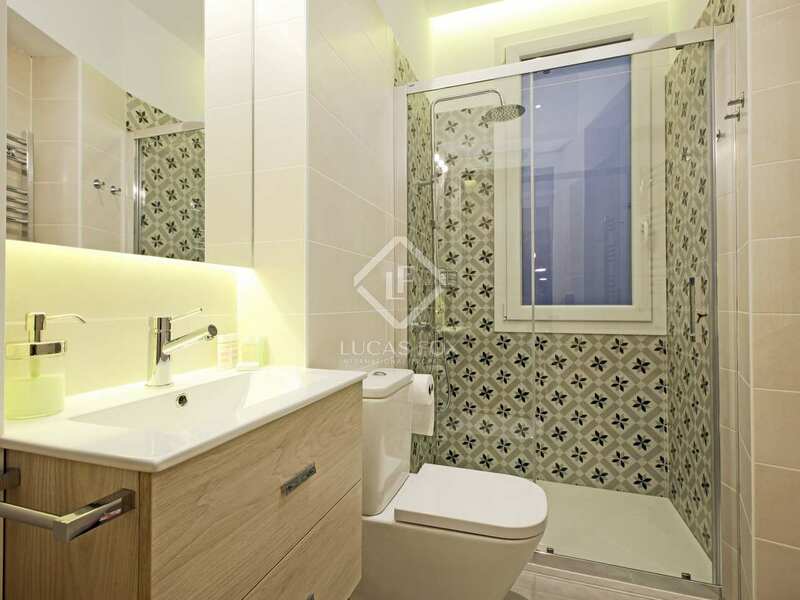 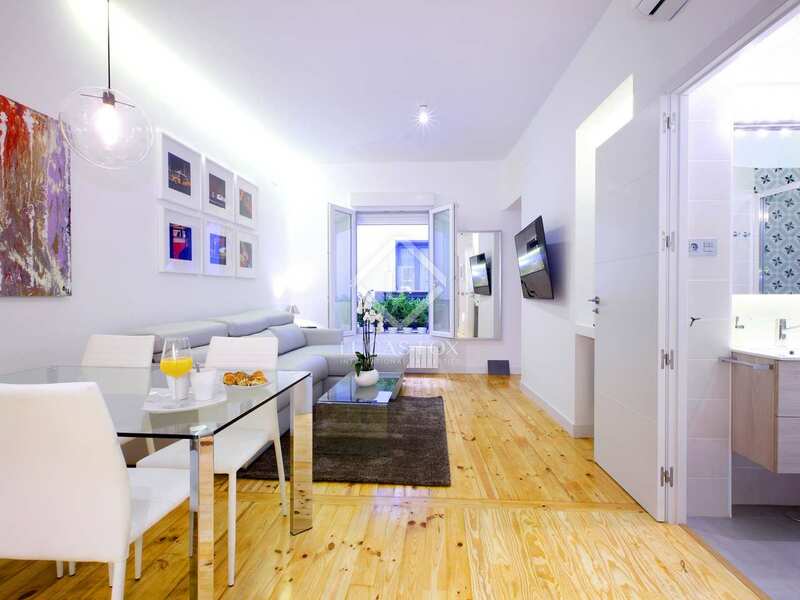 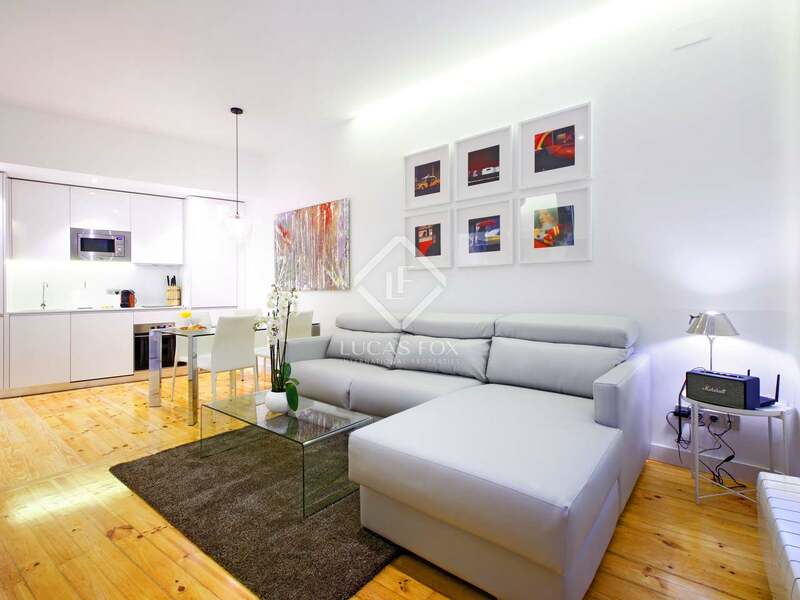 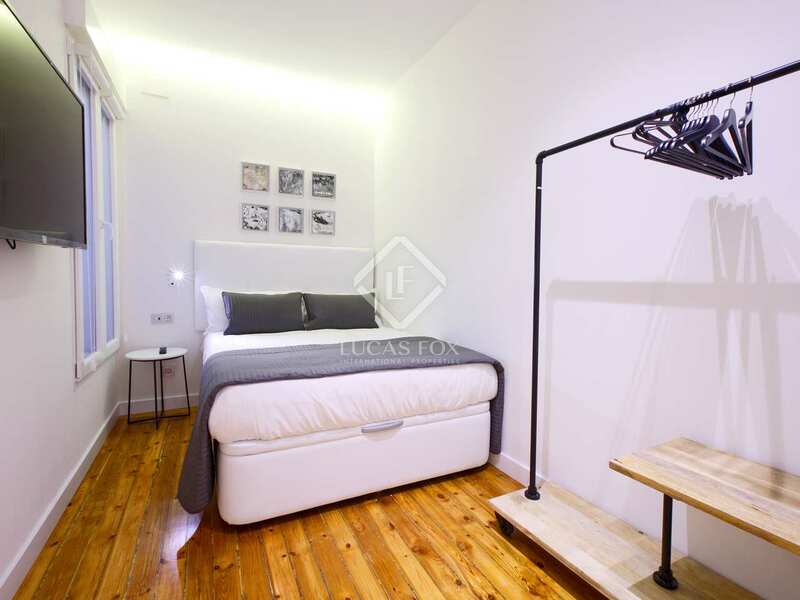 Modern, renovated 1-bedroom property for let fully equipped and furnished in a prime Madrid city centre location. 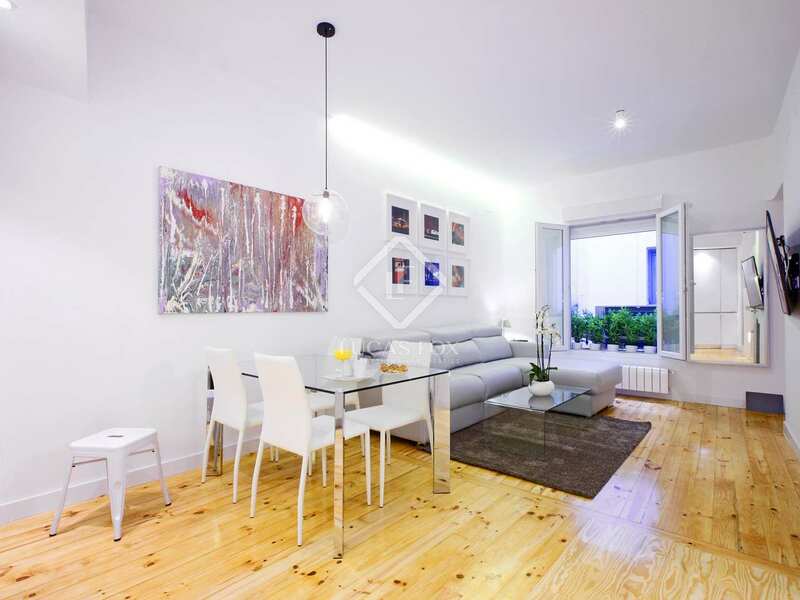 This modern apartment is located in a classic building with a spacious lobby on an emblematic street in Madrid city centre. 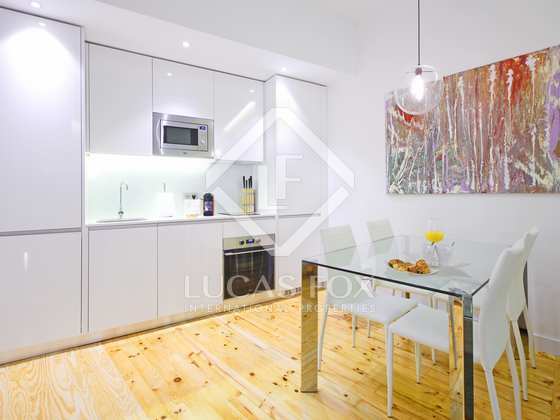 We access the apartment via a welcoming entrance hall and move on to find a spacious living area and the open kitchen which enjoys plenty of natural light. 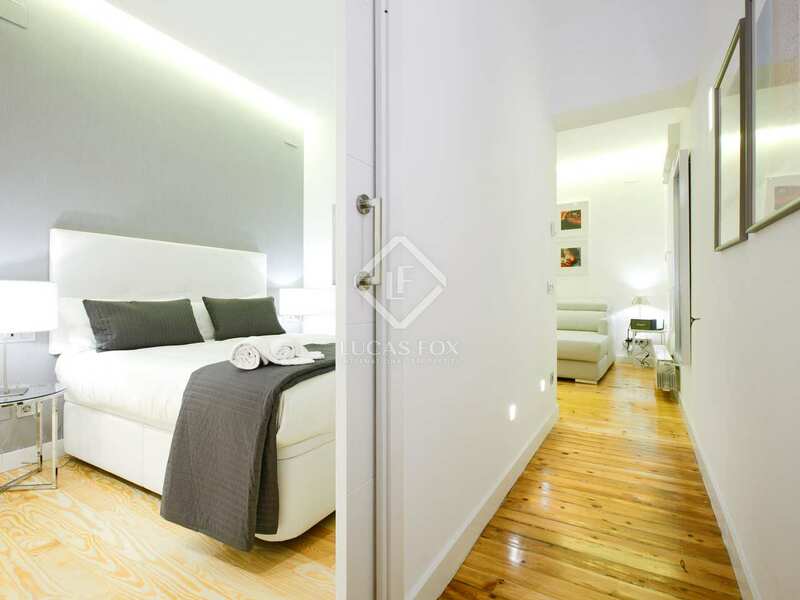 The master bedroom has a king sized bed and a spacious en-suite bathroom. 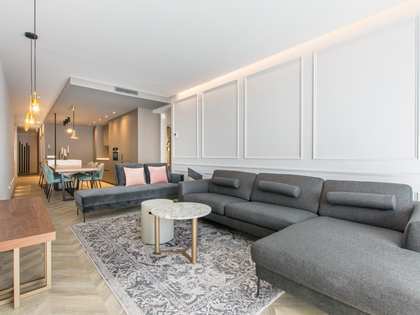 Completely renovated to a high standard and equipped with elegant furniture and all necessities, this is an excellent contemporary home in a prime location. 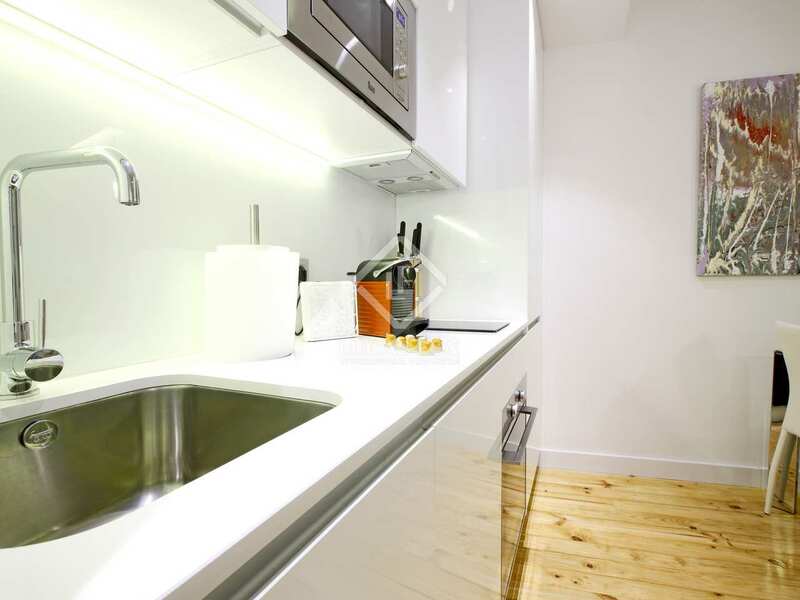 The apartment has plenty of storage space and is ready to move into. 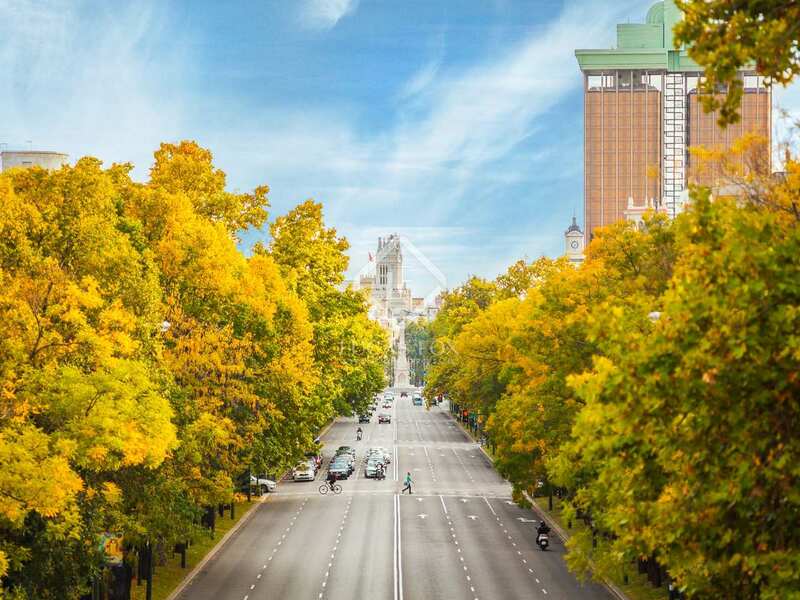 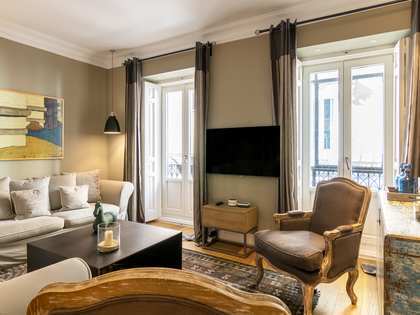 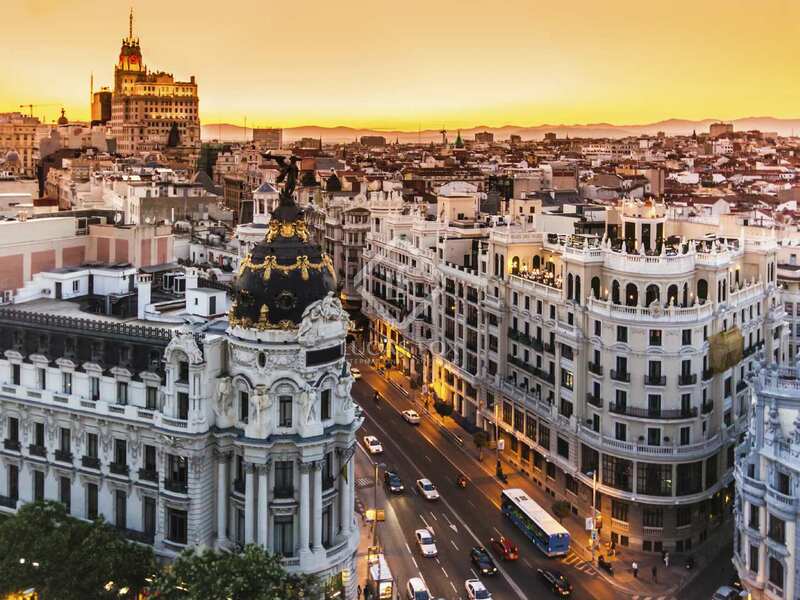 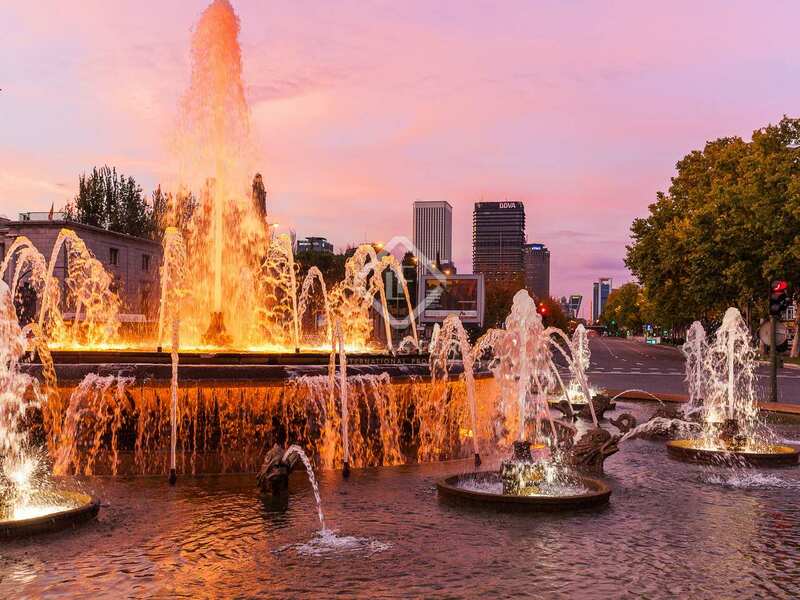 Situated on an emblematic street in Madrid city centre, literally around the corner from the iconic Mercado de San Miguel and close to popular areas such as Sol and Latina. 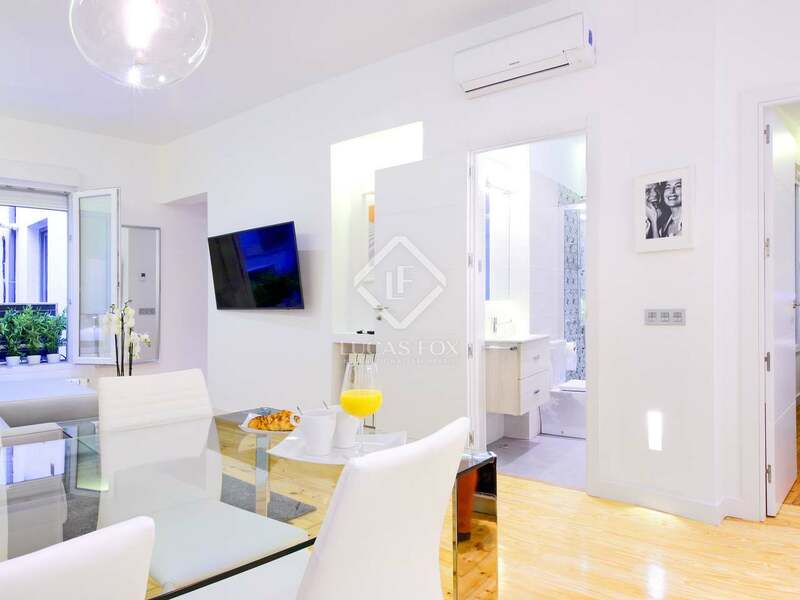 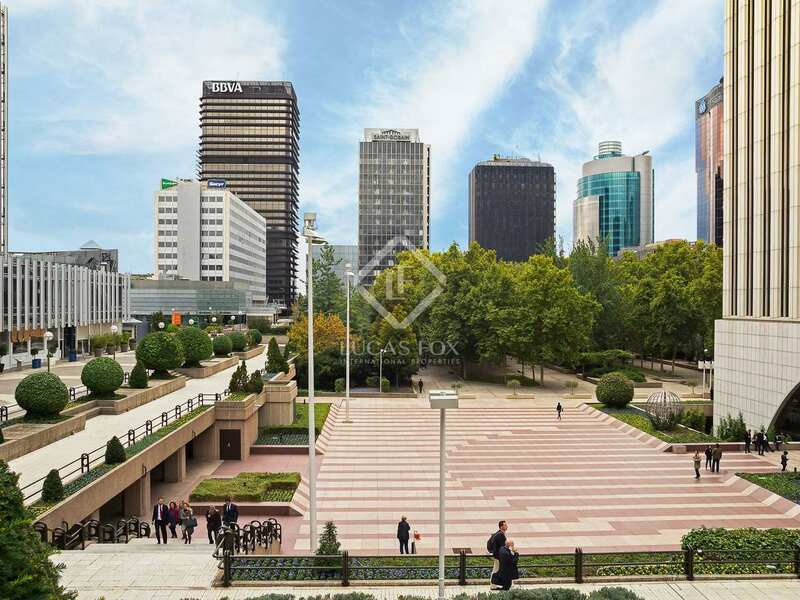 This location is one of the liveliest in the city as it is surrounded by many services, such as supermarkets, restaurants, cinemas, shops, theatres, etc. 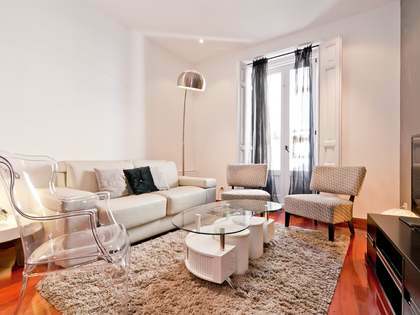 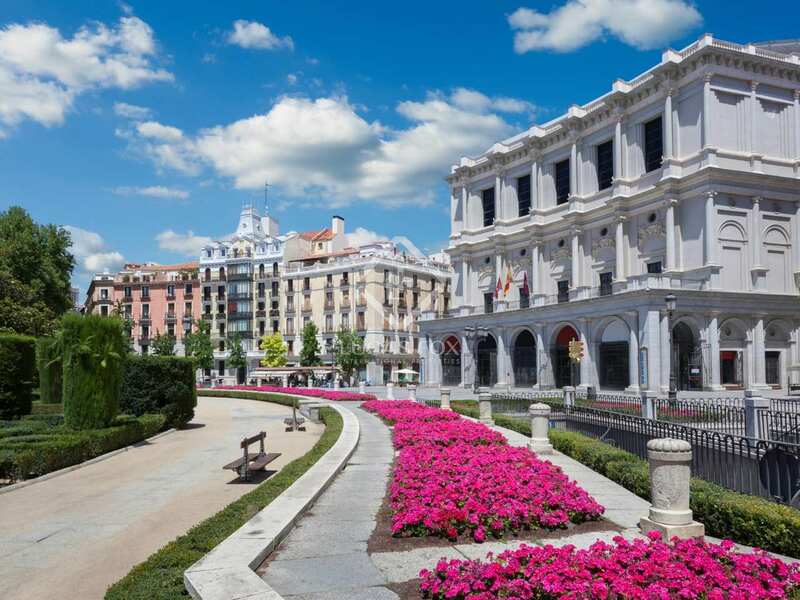 The metro stations of Opera, Sol and Tirso de Molina are situated only a few metres from the property. 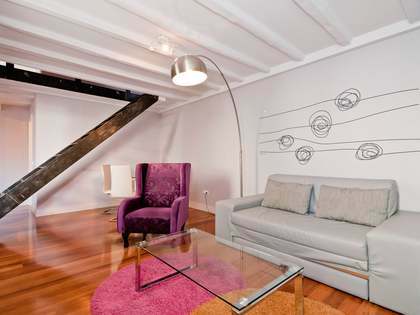 For rent, Apartment €2,350 pcm.